Thank you for your interest in Digital West! We’ll respond to you very shortly. 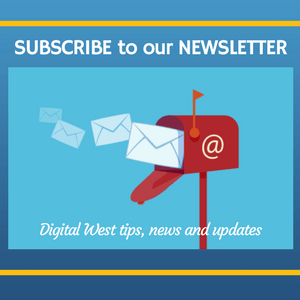 In the meantime, we invite you to subscribe to our quarterly newsletter giving you tips, news and Digital West updates. You can unsubscribe any time. You may also enjoy reading from our collection of Smart Papers. Or find out more about MetroVoice – our flexible and scalable On Net cloud telephone system. If you need any help, we’re here for your, so don’t hesitate to ask! Or give us a call at (805) 548-8000.